I am really pleased today to be sharing two exciting things with you all! The first is the first chapter of the prequel to Summoner: The Novice called Summoner: Origins. 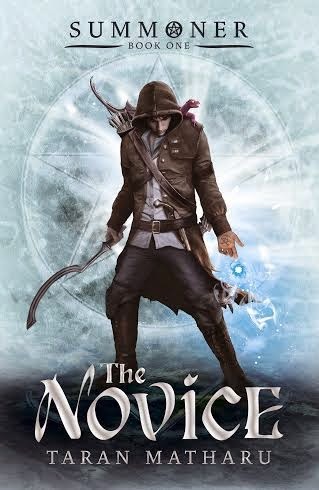 The Novice is the first book in a trilogy about a boy with the ability to summon demons and it rose to popularity first on Wattpad before being picked up by Hodder. It will published on the 5th of May and I've read many positive reviews so far. I've just started reading this book myself and already I can find myself being sucked into this world. Download the prequel, Summoner: Origins by Taran Matharu for free here, but if you're unsure, here is the first chapter just to whet your appetite! 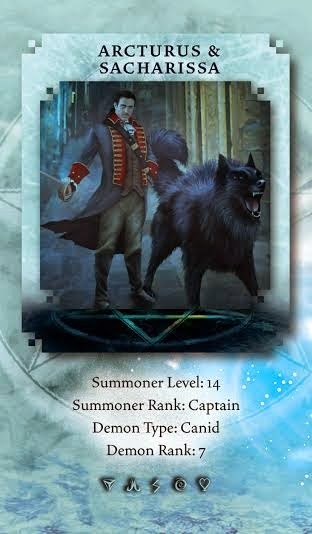 The second exciting thing is this amazing character card for Artcurus and Sacharissa that have been made up especially for the Summoner series. Doesn't it look fantastic?! As Origins is all about Arcturus, it seemed appropriate for these two things to go together! Arcturus shrank deeper into the stable’s shadows, waiting for the dead of night. The clamour of the tavern next door had reduced to a gentle murmur, but it was not safe to come out yet. If all went as planned, his master would ring the midnight bell soon, announcing to his patrons that it was time to wend their drunken way home, or if they were lucky, to a room in the inn upstairs. Only then would Arcturus make his move. It was a plan ten years in the making; almost two thirds of his young life. He was going to escape the beatings, the endless hours of toil and the meagre rations that were his only reward. As an orphan, his value was determined by the yield of his work, rather than the quality of his character. The ox in the stock next to him was fed better than he was, after all, it had been purchased at several times the price his master had paid for him at the local workhouse. He was worth less than a beast of burden. The bell chimed, disturbing Arcturus from his thoughts. There was a creak as the tavern door swung open, then the crunch of gravel signalled the departure of the drinkers, their coarse laughter fading until silence reigned once again. Even so, it was a full ten minutes before Arcturus padded from the shadows and into the night air. He fingered his pack and wondered if he had everything he needed. Escaping was not as simple as running away, something that Arcturus had learned from bitter experience. In the early days, before he was sold to the innkeeper, children would run away from the workhouse all the time. They would always return a few days later, starving, beaten or worse. There was no work for scrawny, uneducated children, nor did they know where to go. Arcturus knew that if he ran away unprepared, he would end up begging for scraps before returning, hat in hand, to the inn. In all likelihood he would be sent back to the workhouse. Back to hell on earth. Arcturus knelt in the straw and checked his pack one more time. Forty-two shillings: his life savings from tips, loose coins and charity. It would last him a few weeks, until he found a new source of income. A thick fur, discarded by a passing trader for the wine stain that adorned its centre, but it was still fit for Arcturus’s purposes; he would not freeze if he needed to camp overnight. Next, a serrated knife, stolen from the tavern kitchen at great risk. Although it was not much of a weapon against a brigand, it gave him peace of mind. Two candles, some bread, salted pork and a few spare garments completed his supplies. Just enough to give him a fighting chance. The neigh of a horse in the darkness reminded him why he had chosen that night. An opportunity, unlike any he had seen before. A young noble had arrived only a few hours earlier, exhausted from a long day’s riding. He had not even bothered to unpack his saddlebags, simply throwing the reins to Arcturus and trudging into the inn to book a bed for that night. Arcturus knew where the noble was going. When they came of age, noble children attended Vocans Academy, to learn the art of summoning demons. The academy was all the way in the capital city of Corciullum, on the other side of the Hominum Empire. With any luck, the saddlebags would contain everything Arcturus might need for a similar journey, not to mention the fact that the wealthy young noble’s possessions might be extremely valuable. He sidled up to the horse, clucking his tongue to calm it. As a stableboy, he had a way with horses. This one was no different, nuzzling his palm as if searching for a handful of feed. He stroked it on its muzzle and unclipped the saddlebags, letting them fall to the ground. Arcturus searched through each pocket, his heart dropping as he discovered that the vast majority of them were empty. No wonder the noble had left without him. Still, the noble’s steed was the real prize. Many horses passed through here, but this was a fine stallion, with long legs, muscled haunches and clear, intelligent eyes. It could outpace any riders who might follow him, be they thieves, brigands or even Pinkertons; Hominum’s police force. It was not unknown for them to chase down a runaway orphan if the reward was high enough. Arcturus rummaged in the last pocket and smiled as he grasped something solid. It was hard to see in the dim light of the stable, but he could tell by touch it was a roll of leather. He unravelled it on the ground and felt the dry touch of a scroll within. A thin stream of moonlight cutting through the slats in the roof allowed Arcturus to see printed black letters on the page. He held it up to the light and examined them more closely. Arcturus’s reading ability was poor; his education had been limited to the one year of learning at the workhouse. Fortunately, the books that travellers would abandon in their rooms would often find their way into his possession, allowing him to practise over the years. His reading was now better than most, but he still had to sound them out as he read. ‘Do rah lo fah lo go…’ he whispered the nonsensical syllables. They made no sense, yet he could not stop, his eyes glued to the page. As he spoke, a strangely familiar sensation suffused his body, starting as a dull drunkenness and gradually growing in intensity as word after word rolled off his tongue. The grey of the room seemed to become brighter, the colours intensifying in his vision. ‘Sai lo go mai nei go…’ The words droned on, his eyes roving back and forth across the page as if they had a mind of their own. His heart pounding, Arcturus could feel something within him stir. There was a flicker in the darkness. Beneath his feet, the leather mat glimmered with violet light, patterns flaring along its surface. Out of the corner of his eye, Arcturus made out the outline of a pentacle, surrounded by symbols on each point of the star. The glow pulsed like a beating heart, accompanied by a low hum. As he reached the last line of the page, a spinning ball of light formed in the air, growing into a brilliant orb that seared his vision. His ears popped as the humming turned into a roar, growing louder with every second. Arcturus spoke the last words, then tore his eyes away and dove to the ground, clamping his hands over his ears. He could feel a fiery heat washing over him, as if he were lying beside a great bonfire. Then, as sudden as a lightning strike, Arcturus’s world went still. The new silence fell upon the stable like a cloak, only broken by Arcturus’s deep, sobbing breaths. He shut his eyelids tightly, shrinking into a ball on the ground. He knew he should be moving, gathering his things and riding away before anyone arrived. Yet the ice of fear had taken hold, leaving him petrified on the cold soil of the stable. There was a snap as the noble’s horse broke its tether, then the thunder of hooves as it bolted into the night. The light, heat and noise had been too much for the well-trained beast. Realising his last chance at escape had just galloped out of the door, Arcturus’s terror turned to despair. Straw rustled in the darkness, followed by a low growl. Arcturus froze and held his breath. He kept his eyes shut and went perfectly still. If he played dead, perhaps whatever it was would move on in search of more interesting prey. The noise intensified, moving closer and closer, until he could feel the hot, moist breath of the creature in his ear. A tongue slid across his face, leaving a trail of saliva as it tasted him. Arcturus tensed, knowing he would have to fight. With a yell, he leaped to his feet, striking out with a clenched fist. It met a furry muzzle, rewarding him with a yelp as the creature fell back. Emboldened, Arcturus struck out again, sending the creature skittering into the shadows. It was clumsy, stumbling and tripping over itself as it ran. Arcturus grabbed his pack and sprinted to the door. The inn was dark still, with no signs of movement. He grinned with relief, realising he might still have a chance to escape. If he was lucky, the horse may not be far away. But as he began to leave, a strange feeling came over him. Pain and … betrayal. He shook his head and took another step, but the feeling intensified. On the edge of his consciousness, Arcturus felt something stir. The creature was connected to him somehow, like a mental umbilical cord. Suddenly, Arcturus was overcome with an immense feeling of loneliness and abandonment, emotions that he was not unfamiliar with. He turned and stared into the darkness of the stables. In the light of the moon, the entrance yawned like a cave mouth, shrouded in shadow. The creature was whining, like a dog whose master had kicked it. He felt guilty, for the demon had only been licking his face. And that was what it was, a demon – the noble was on his way to learn the art of summoning them after all. Had he just done that? Summoned this demon? But that was something only nobles could do … wasn’t it? As if it could sense his guilt, the demon tumbled out of the stable, blinking in the moonlight. It was not as large as he had thought, only the size of a dog. In fact, it had the head of a dog too, with a pair of large blue eyes, followed by a second, smaller pair behind them. It was entirely black, with a shaggy ridge of hair along its spine. This ridge continued on to a bushy, fox-like tail, though it swished back and forth much like an eager pet. Strangest of all was its body, muscled like a jungle cat with sharp, dangerous claws and powerful limbs. ‘What are you?’ Arcturus whispered, holding a calming hand out. In his mind, he could feel the demon’s fear dissipating, replaced with an eager desire to please. The demon took a wary step forward, then licked his hand with a rough, wet tongue. Arcturus examined it more closely, stroking its head. Despite its size, the creature looked young, with the overlarge head and clumsy, thick limbs that gave it a puppy-like mien. ‘Do you want to come with me?’ Arcturus asked, rubbing the creature under its chin. It closed its four eyes and nuzzled back, panting with pleasure. With each scratch Arcturus felt a keen sense of satisfaction on the edge of his consciousness. He turned, just in time to see a cudgel lashing towards his face. 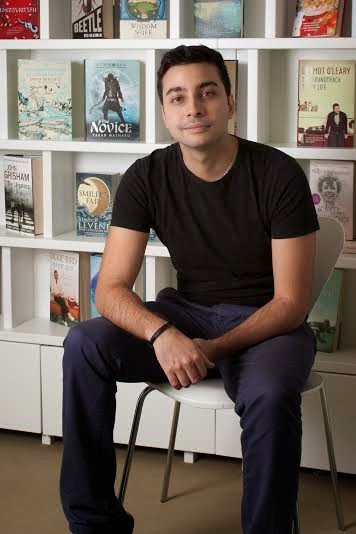 Summoner: The Novice by Taran Matharu will be published 5th May by Hodder Books. 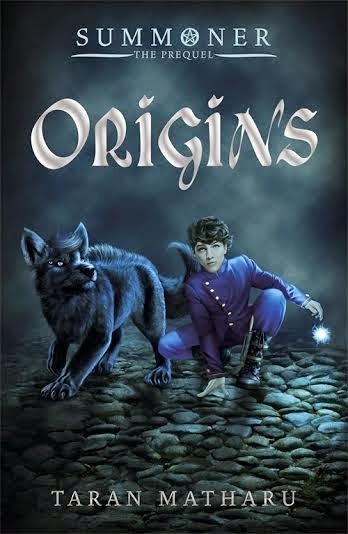 Download the prequel, Summoner: Origins, for free now.